This nice red polyester pad is foam filled to cushion your sled ride. It can be secured to your toboggan with the attached ties. The edges are sewn with black piping. We recommend it for ages 5 years and up. Pad is foam filled to cushion your sled ride! Can be secured to toboggan with the attached ties. Edges are sewn with black piping. This nice red polyester pad is foam filled to keep little ones comfortable and warm in the snow! It is a great option for your sleigh! The edges are sewn with black piping and it has ties so you can secure it to your baby sleigh. This is recommended for children ages 18 months to four years old. Great option for your toddler sleigh! Keep little ones comfortable and warm! Has ties to secure to baby sleigh. Ages 18 months to four years old. 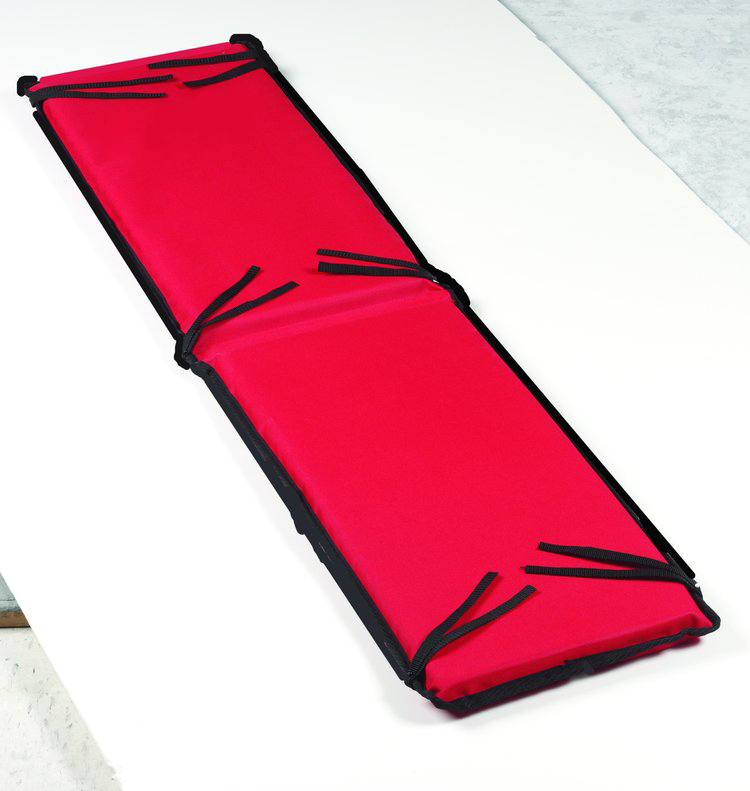 This nice large red polyester pad is foam filled to keep little ones comfortable and warm in the winter! It is a great option for your larger sized toddler sleigh! The edges are sewn with black piping and it has ties so you can secure it to your baby sleigh. This is recommended for children ages ages 18 months to 4 years old. Keeps little ones comfortable and warm in the winter! Great option for the larger sized toddler sleigh! Pad is sewn with black piping and has ties. Ages 18 months to 4 years old. Safely enjoy all of your favorite winter activities! This Flexible Flyer helmet is a must-have. It is perfect for kids ages 6-12 years old. The inner padding and chin strap are fully adjustable to get the right fit. It can be adjusted to fit your child year after year! Patented Coolmax material for added comfort. The interior is removable and washable. Also, there are large air vents for maximum ventilation. Safely enjoy all of your favorite winter activities! Adjustable padding & chin strap. Ages 6-12 yrs old. Patented Coolmax material for added comfort. Interior is removable and washable. Large air vents.